Deepavali is celebrated by the Hindus every year. It is also known as Diwali or the Festival Of Light. This year’s Deepavali falls on 30 October 2016. This festival is celebrated in Malaysia and is a public holiday. Before Deepavali, there will be a lot of shopping done by those celebrating to buy new clothes, decoration, food items, sweets, desserts, and new household items like pots and pans. They will clean and decorate their houses, offices or shops before Deepavali. During Deepavali, they will wear their traditional costume which is usually sarees for ladies and kurta pyjamas for gentlemen. Some ladies will draw designs on their hands and feet with henna or mehndi, which is reddish-brown dye that comes in a tube. 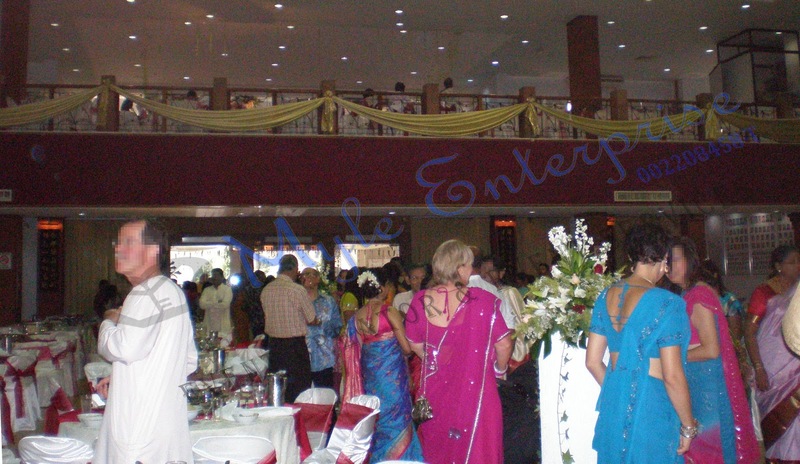 Some guests at an event wearing saree and kurta pyjamas. Men in a traditional Indian band wearing traditional clothing. Some will decorate their houses with ‘kolam’ or ‘rangoli’ which is a drawing usually done on the floor by hand, using naturally or synthetically coloured rice powder, chalk powder or white rock powder. 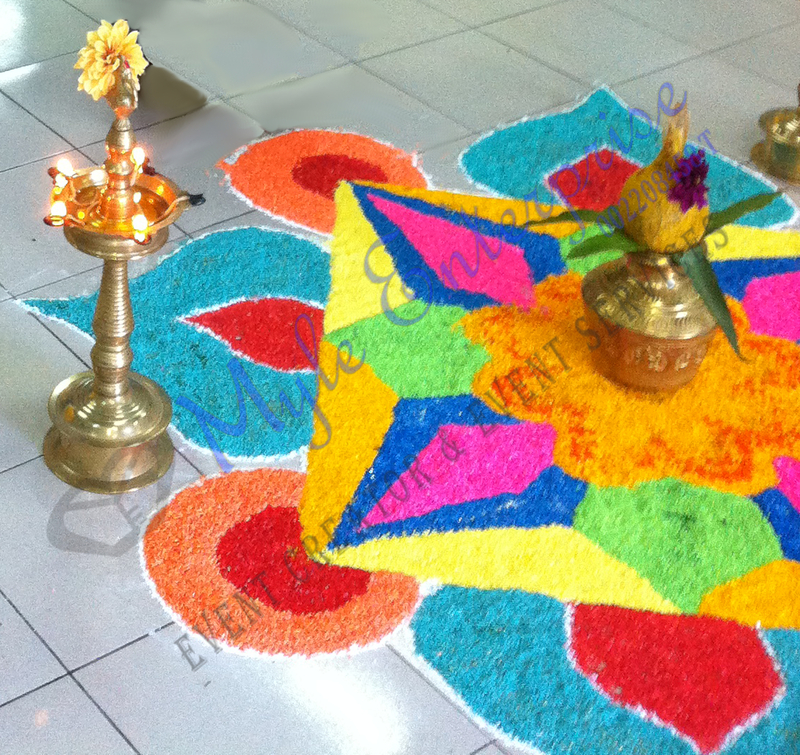 ‘Kolam’ on the floor with tall pooja oil lamp seen on the left. Deepavali decorations seen at a shop in Little India, Penang, Malaysia. Deepavali is about the victory of light over darkness and hope against despair. They will pray to Goddess Lakshmi, which symbolises wealth and prosperity. She is believed to roam Earth on Deepavali night, and the devotees will open their doors and windows to welcome Her. Once She blesses one’s home or office, they believe they will have a good year ahead. Some will pray to other deities. Indians originating from other parts of the country believe instead in the story of Lord Krishna defeating Narakasura, which was then celebrated with lights and fireworks. Some others believe that Deepavali is celebrated in memory of Lord Rama’s victory against Ravana, which is a demon king. They then celebrated by wearing bright coloured clothings and lit bright lamps. Whichever folklore they believe in, one thing is clear – that Deepavali is associated with light. They will light oil lamps known as diya or deepam which is usually made from clay or brass. The lamp is filled with ghee or oil and a cotton wick dipped in it which is used to light the diya. 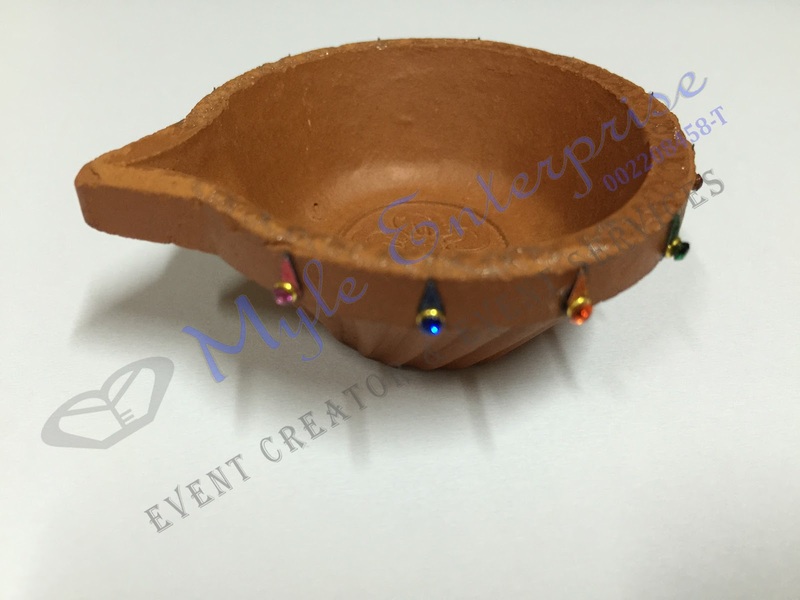 A decorated clay diya now sold in our online store at www.myleenterprise.com/shop. There will be a lot of sweets and desserts (known as ‘mithai’) served during Deepavali. They like their desserts very sweet and it is usually made out of flour, milk and ghee. Some well known sweets are the laddu, jalebi, and halwa. There are also fried snacks served, the most well known being muruku. Indian sweets and snacks. 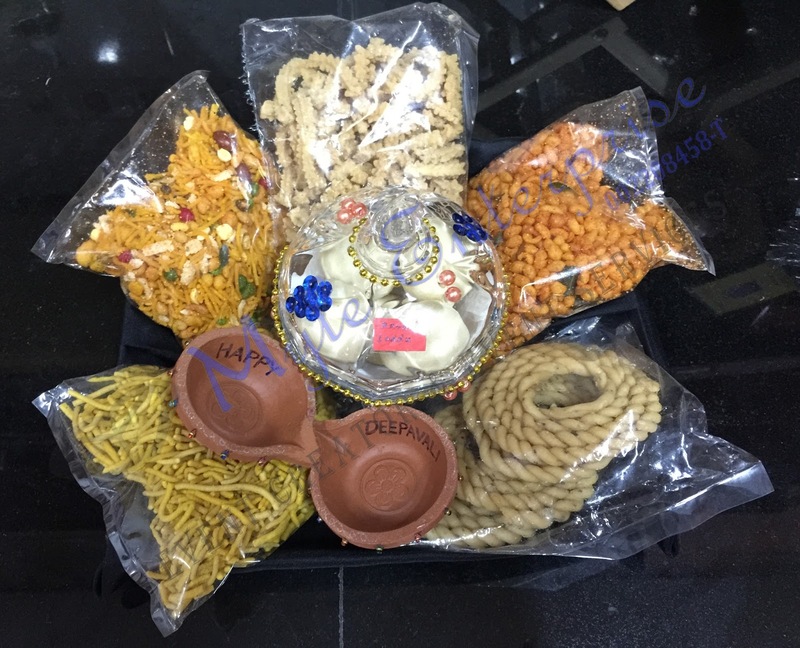 Deepavali gift package by Meus Gift. Relatives will visit each other and exchange gifts. Some will hold open houses and invite friends to celebrate Deepavali with them. There will be fireworks and a lot of feasting. Deepavali is supposed to be a five day celebration. We wish you a Happy Deepavali and may you have a blessed celebration.